Queenscliff is an historic bayside town that is home to fishermen's cottages, galleries, some substantial public buildings, cafes, exellent restaurants, heritage hotels, Great Accommodation , a fine golf course, ferries, wide streets faced by terraced houses and both bay and surf beaches. 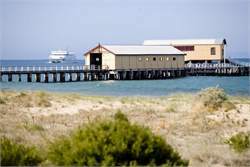 Board the Ferry to cross the bay to the Mornington Peninsula or continue south to the lighthouse at Point Lonsdale and the family beaches and surf venues like Bells Beach to the west of Port Phillip Bay. Famous for its coastal tranquility, Barwon Heads and the surrounding area were chosen as the location for the hit television series, Sea Change. Queenscliff Historical Museum - you will find an extensive and varied collection of historic artifacts from Queenscliff's past. The Museum also houses a collection of thousands of photographs depicting the life and times of Queenscliff. 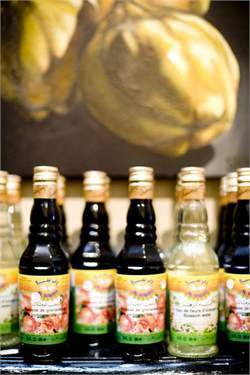 Open 2.00pm - 4.00pm daily. Discover the underwater world at the Marine Discovery Centre. Local marine life on display, Large touch tank , Whale bones and other amazing artifacts, Hands-on discovery area and "Touch Tanks" -Open Daily 11am to 3pm ,School holidays 10am to 4pm. The Marine Discovery Centre also runs their School Holiday program in Victorian School Holidays. Hesse Street - Walk along King St and turn left into Hesse St. At the top end of the road there is a carpark and a lookout offering fine south-westerly ocean views over The Rip - a 3 km stretch of water dividing Point Lonsdale and Point Nepean. It is recognised as one of the most dangerous stretches of water on the whole Australian coastline. Bellarine Peninsula Railway - At the northern end of town, in Symonds Street, is the railway station (1879) which established an important link between Queenscliff and Melbourne (via Geelong). 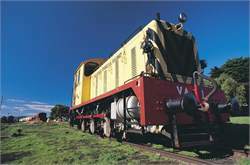 The station is now home to the 16-km Bellarine Peninsula Railway which is run by the Geelong Steam Preservation Society. 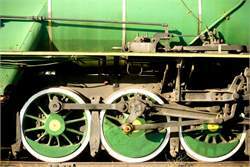 It has an outstanding collection of vintage steam locomotives and carriages which take passengers on scenic pleasure trips to either Drysdale or Laker's Siding, taking in views of Swan Bay, the Bellarine Hills, Corio Bay and Port Phillip Bay. Swan Bay - is on the northern side of the Queenscliff isthmus. Its quiet sheltered waters are good for fishing and boating. There is a boat ramp. Swan Bay is also a recognised wetland habitat which is a haven for birds such as the orange-bellied parrot. Adventure Park - Set in 52 acres of picturesque parkland, it has a wide range of activities for families, including a 115-metre raft waterslide, go-karts, jumping castles, volleyball, a merry-go-round, paddleboats, the Big Bouncer, flying foxes, an archery range, Adventure Island mini-golf, aqua bikes, moon bikes, juming jets and canoes, the Paddle Pop Express Train and the Adventure Playground. Facilities include a kiosk and cafe, undercover seating and wheelchair access. Gas barbecues and lockers are available for hire, birthday parties can be organised and group bookings are also available for corporate and social clubs. 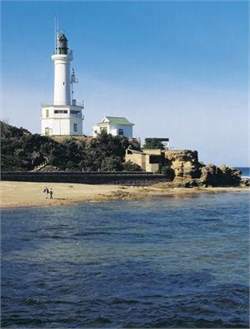 Diving - The Bellarine Peninsula is a popular snorkelling and diving area. South Channel Fort - The South Channel Fort is a small artificial island located offshore. Work began on the construction of the island in 1879 when about 14 000 tons of bluestone rocks (mostly weighing over two tons each) were laid in a ring. The foundations for a similar construction, known as the Pope's Eye, were laid to the west. Both were intended to illuminate (with searchlights) and stand guard over the main route through the shoals to Melbourne and to electrically detonate a series of sub-aquatic mines. Work on both projects was halted at the outset of the 1880s and the Pope's Eye never got any further. It is now home to a seal colony.